Tahereh Nourani is an instrumentalist, improviser and composer, focusing mainly on minimal music and experimental sounds. 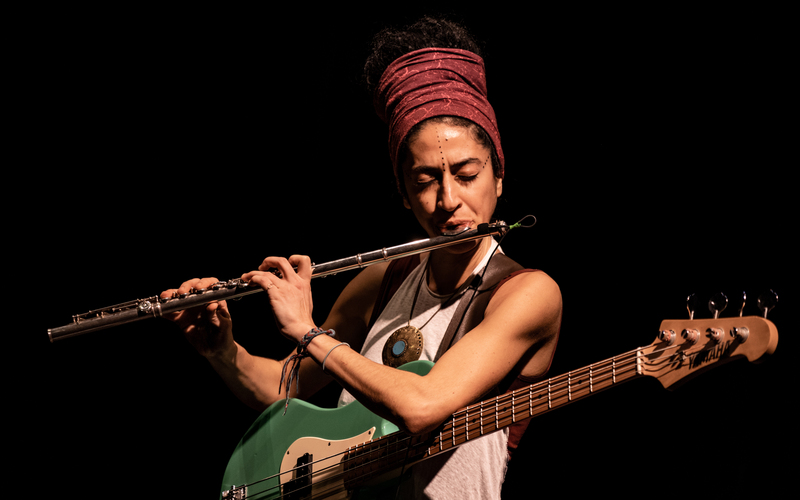 She explores her instruments, flute and bass, for new Sounds and playing-techniques, beyond their conventional roles and limits. Nourani started as a flautist with classical music, studied at Tehran Art University and later at Vienna University for Music and performing Arts. Later on following her passion for improvisation, she went through Jazz and World, learning from inspiring musicians like Wolfgang Puschnig and Franz Hautzinger. Ultimately she ended up at Free Improvisation and experimental music. Over the last two decades she has been working both solo and alongside outstanding artists in various projects including dance, circus and multimedia.